Gord and I saw The Woods are Dark and Deep this evening ... our pal, Dewey Stewart, is in it. More than 8,500 people were kept in camps and receiving stations, used as a working force to clear forests, create roads, national parks and villages. Our story follows three Serbian men and a Ukrainian family, parents with two children. 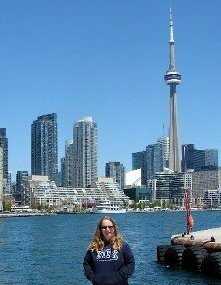 All of these characters came to Canada to work and earn a better life for themselves and their families, but through no fault of their own ended up locked up and forced to do manual labour for several years. 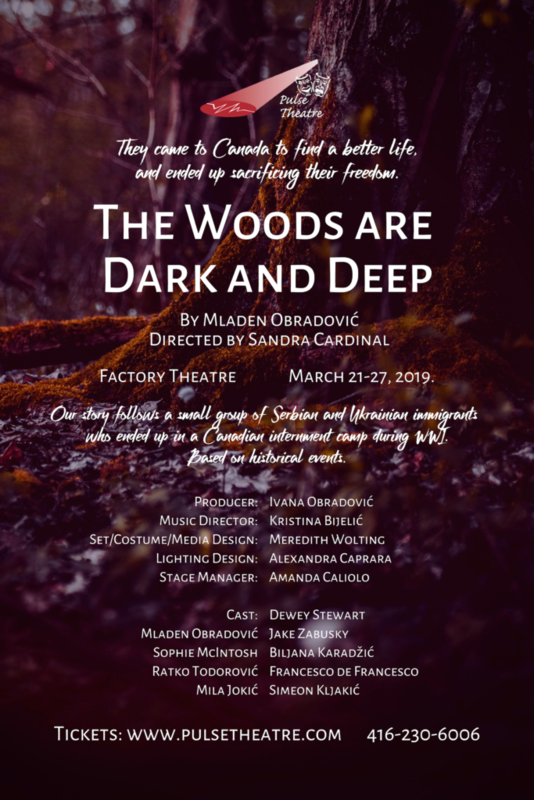 This show gives us a glimpse into the history of immigrants in our country and the ordeals that they had to go through to integrate into the fabric of modern Canadian society. It will reminding us how tough our ancestors were and how their sacrifices informed our legal processes and our today's social freedoms. It's playing at the Factory Theatre (Bathurst Street/Adelaide W) and is a Pulse Theatre Production. They have a cute lounge but the theatre isn't licensed so you can't bring alcoholic drinks into the theatre when watching a play. The story is set during World War I. Janko (Dewey) and Claire (Sophie McIntosh) are young and in love ... he is Serbian and she is Canadian. During the war, though, any immigrants who were living in Canada who were from countries Canada was at war with were put into work camps. 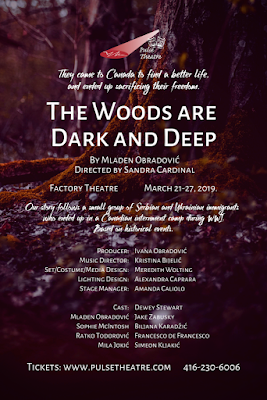 This included Janko ... the play focuses on his time in the camp along with two fellow Serbians and a Ukrainian family who had come to Canada for a better life. During his time in the camp, Janko and Claire remain in love and devoted to each other by exchanging letters. I didn't know this had happened ... I bet most of us don't. So from a historical aspect, it was interesting and a learning experience. The theatre is the right size for the play. The actors used the space well (at one point, Claire left her bag and hat next to Gord's seat, which made him feel a bit protective of it ... ha!). I thought the actors did an excellent job. My heart went out to them for having their lives temporarily taken away from them and I was hoping for a happy ending for Janko and Claire (you'll have to go see it to find out). We sat with Dewey's friends and family ... his parents, Jim and Kim (we'd met Jim in December), brother, grandmother, friends and even former school teachers. Most had driven almost two hours from his hometown NW of Toronto ... great support for Dewey! It was nice to chat with them before and after the play. The play runs until Wednesday, March 27, so you still have a few more days to go see ... and I think you should!